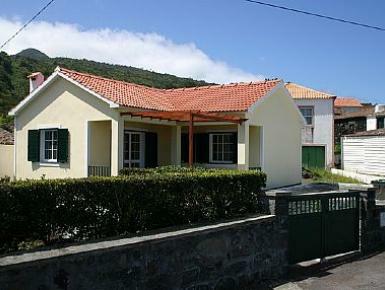 Modern detached villa in the hamlet of Fajã, in a magnificent quiet location and enjoying a nice sea view. It is 200 m from a black sand and rock beach, 25 km from Horta and 15 km from the airport. Within 200 m one finds a coffee shop/restaurant, a supermarket can be found 1 km from the property. With a living area of 70 m2 and a surrounding garden with 120 m2, property consists of 1 double room, 1 twin room, 1 shower room, living/dining room with open plan kitchen and an outside terrace with sea view, garden furniture and barbecue.